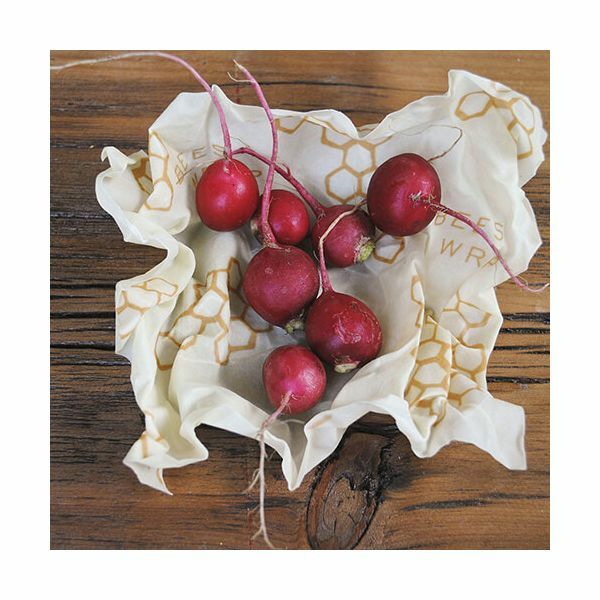 This Bee's Wrap Set of 3 Medium Wraps can be used on herbs, carrots and cheese or to cover a bowl. 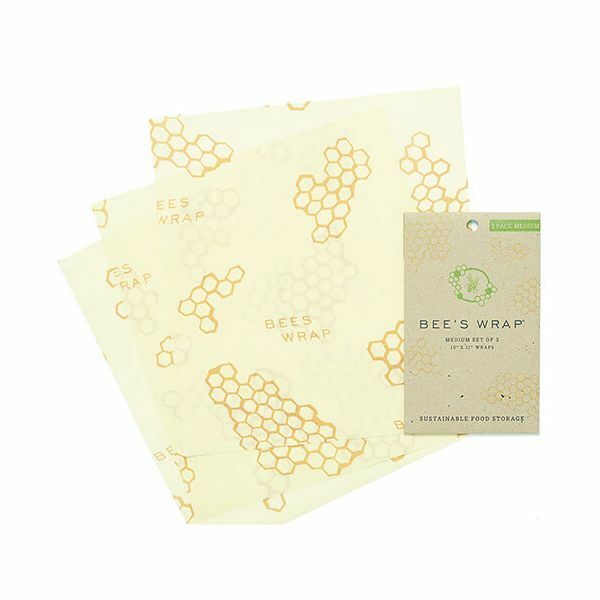 Each wrap measures 10 x 11 inches (25 x 27.5cm) and is made from sustainably harvested beeswax, organic cotton, organic jojoba oil and tree resin. Simply soften the wrap using the heat of your hands. Wrap and create a seal around the food. When the wrap cools it will maintain the shape you created. Beeswax and jojoba oil have antibacterial properties which help keep your food fresh as well as allowing each wrap to be used over and over again. Just wash with soap in cool water then hang up to dry. A Bee's Wrap should last for approximately one year if used several times a week. 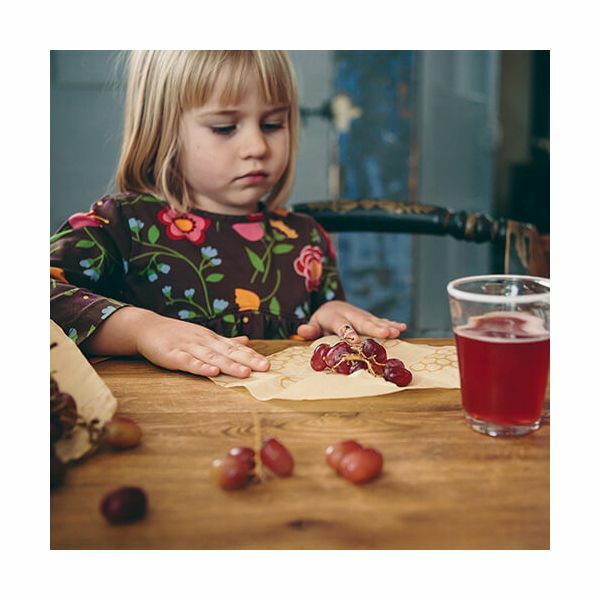 This sustainable food storage solution is a great alternative to tin foil and cling film and is both fully biodegradable and compostable.